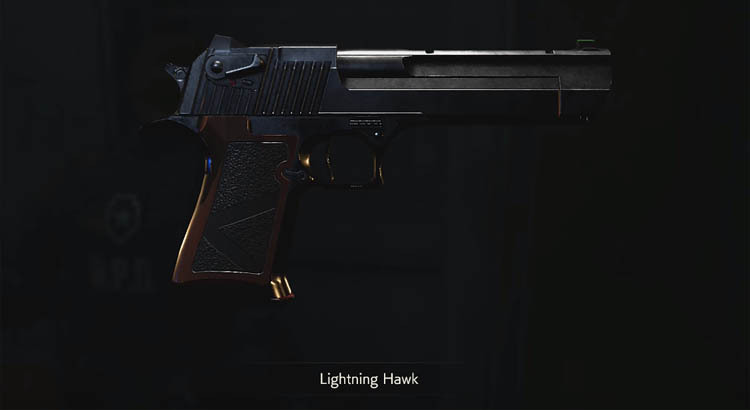 One of the best weapons in the RE2 Remake on PS4 is the Magnum aka the Lightning Hawk. This weapon fires an immensely powerful round and you'll certainly want to find it. 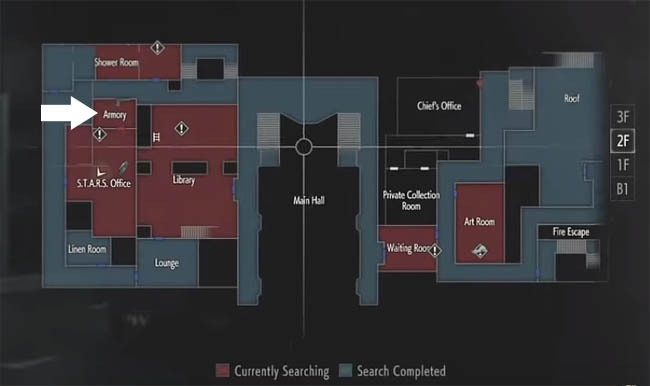 In this guide you'll learn how to get the Magnum by using the STARS office computer and unlocking the secret Armory room. Update: Only Leon can get the Magnum. Claire will get an MQ 11 submachine Gun instead by following the same steps below. The Magnum weapon is a RE classic and for good reason. This 7-round semi-auto handgun is extremely powerful and highly accurate too. Capcom know this only too well and hence ammo for the Magnum is few and far between. Use wisely and the Magnum will certainly see you through to the end! Although you will probably come across the S.T.A.R.S Office early in the game, you must wait until much later before you find the Jewelry Box which is the key to opening the Armory and getting the Magnum. If you try and use the computer in the S.T.A.R.S Office too early, an authentication error message appears, asking for a USB dongle. It's this USB dongle which ultimately grants access to the Magnum. 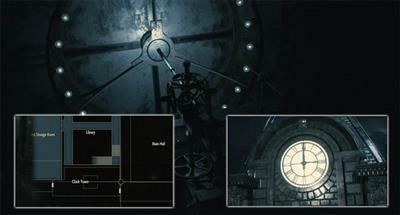 During your search for the 3 Medallions (after solving the Lion and the Unicorn) you will stumble upon another statue, upstairs from the main hall in a dark side room with a red door. This statue is missing an arm but lucky for you there's one on the table next to it. Pick up the Arm and then combine it with the Book (from the Library table) to make a "Left arm with book" item in your inventory. Next, place the new arm onto the statue to complete the missing piece. A Scepter item will be available from the statue, pick it up. In classic RE fashion - this Scepter is not what it seems! So whilst in the inventory screen, use the examine menu option to examine the Scepter. Rotate carefully and wait for the button prompt to appear on screen. Press when appropriate and a switch will activate on the Scepter, releasing the Red Jewel. Keep hold of this Jewel because it's important for later. Now we're onto the later stages of the game where the mission objective becomes "Find the Power Panel Parts". By now, you will have also met a memorable character from the older RE games. I'll say no more to avoid spoilers, but if you haven't made it to the "Power Panel" objectives then you can't get the Jewelry Box just yet. On the 1st Floor of the Police Department there are two rooms: The Interrogation Room and the Observation Room. These fairly small rooms are side by side and the one way mirror between them has been smashed. The Club key is essential to gain access to these rooms from the hallway. Club key location: in the boiler room on the east side first floor. The area where you divert the water to put out the fire. This is after gaining access to the Roof about halfway through the game. Once inside the Observation Room, you'll see a dead police officer and a confiscation note beside him about a Waiting Room incident. More importantly, on the desk with the white computer is a blue box. Pick it up and examine to reveal the Bejeweled Box. Now the easy part. With the inventory screen open, combine the Red Jewel with the Bejeweled Box and watch carefully as the magic happens! The Jewel opens the box and the USB Dongle pops out - bingo! This little USB device is the only thing between you and that Magnum so keep going you're almost there! "Account authentication is required. Insert your dongle key into the USB port". Now that you have the USB, simply interact with the computer tower to the left of the monitor. Select the USB dongle from your inventory and watch the little animation as it's inserted into the computer. Finally, interact with the computer monitor and after a short delay, you should hear a beep and the door opens. "7-round capacity .50 AW MAG. Gas operated action, which is unusual for a semi-auto handgun, gives it both power and accuracy".